You know you should drink more water, but those sugary drinks all aglow in the vending machine at 3 AM sure are tempting. Break the spell for good this year by arming yourself with any of these clever water concoctions—we promise they’re as good to your taste buds as they are to your body. 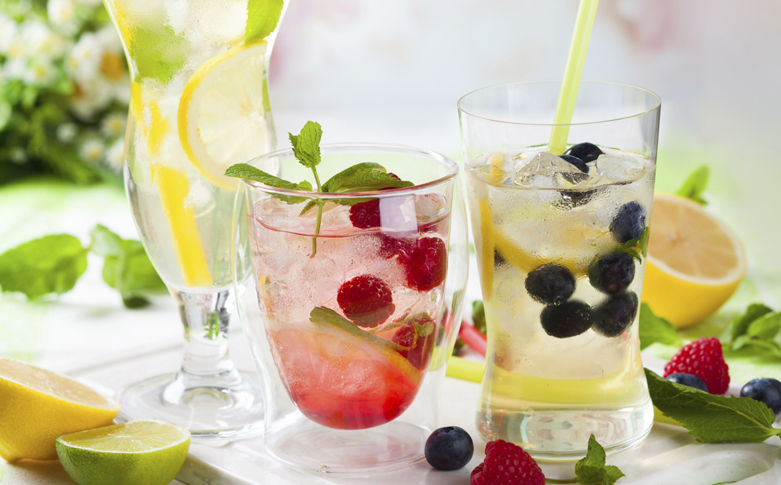 To help you drink it all in (pun intended), we’ve gathered our top five easy, make-at-home infused waters, perfect for busy nurses who have decided to make 2015 their healthiest year yet. Just throw one of these mixes together in the evening (or in the morning—we gotcha, night-shifters), let it marinate overnight and then pour the finished product into a few grab-and-go bottles for a healthy, hydrating treat you can look forward to at work. We have a hunch that you’ll be glowing (and considerably less munch-y) in no time at all. For this one, you’ll want to blend all the ingredients except the apple for 10 seconds. Pour the blend over the sliced apples. Have any refreshing recipes of your own? How do you remind yourself to stay hydrated on the job? Share your tips in the comments section below!